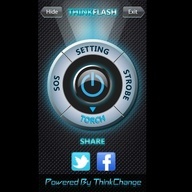 ThinkFlash - Turn your Nokia into the brightest torch ever by utilizing powerful LED technology. 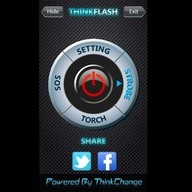 ThinkFlash will help you find your way in a dark room, unlock your door in dark night, read books and will be great companion in countless other cases. It gives you quick and bright light. You can have a shortcut ICON on homescreen. Torch: Switches the rear LED on. SOS: Flashes the rear LED in the morse code pattern to signal 'SOS'. Strobe: Flashes the rear LED at an fixed rate. SlideUnlock - Slide to unlock your phone and customize your homescreen in your own way! See everything you need at first glance: easy-to-read time display, indicators of your phone status. Then, unlock your phone with one smooth slide on the screen. Background image, font color..
nUnLock - slide to unlock like iPhone and customize your homescreen in your own way! 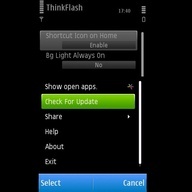 The coolest homescreen ever for your BlackBerry. See everything you need at first glance: easy-to-read time display, indicators of your phone status. Then, unlock your mobile phone with one smooth slide. Background image, font color..
Can I download here? Ovi don't let me download for E66 there.